Click Here to Learn how the HSH will help Save Lives! Welcome to the Interstate Traveler Hydrogen Super Highway! Let's ride the Hydrogen Super Highway into a better cleaner safer faster and more exciting future while producing and distributing hydrogen to filling stations all along the US Interstate Highways... Say good bye to fossil fuels and hello to Hydrogen! 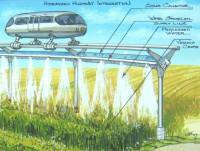 What is the Interstate Traveler Hydrogen Super Highway? It is a collection of vital municipal utilities bundled into what we call the Conduit Cluster providing a first of its kind full integration of solar powered hydrogen production and distribution system supporting a high speed magnetic levitation ( MagLev ) on-demand public transit network built along the right of way of the US Interstate Highway Systems, and any other permissible right of way where such a machine would be of benefit. 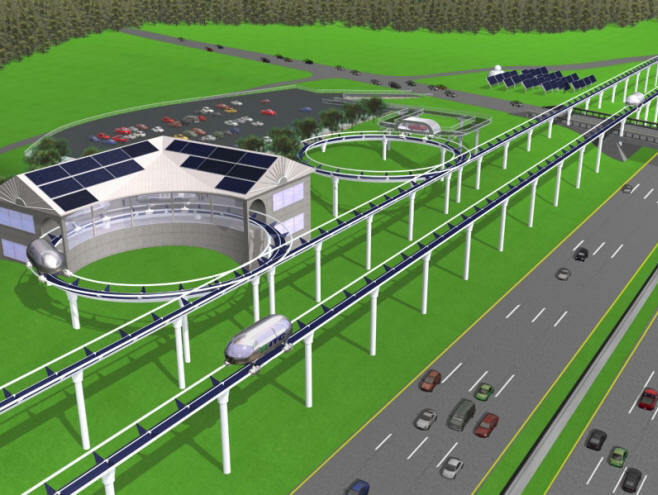 The Hydrogen Super Highway, also known as the HSH, is accessed by Traveler Stations that are built within the right of way of the Interstate Highway within the land locked real-estate of the clover leaf interchanges providing maximum ease of access for people who live anywhere near the Interstate Highway. 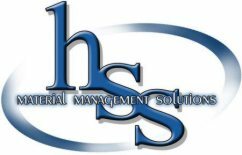 The HSH is much more than just a high speed rail system. 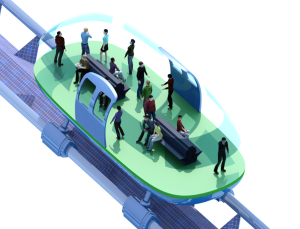 The HSH public transit network will enable millions of people in the future to utilize on-demand publicly owned transit vehicles that share the same maglev rail with privately owned transit vehicles. Essentially the HSH represents the addition of new lanes of transportation traffic on existing rights of way. 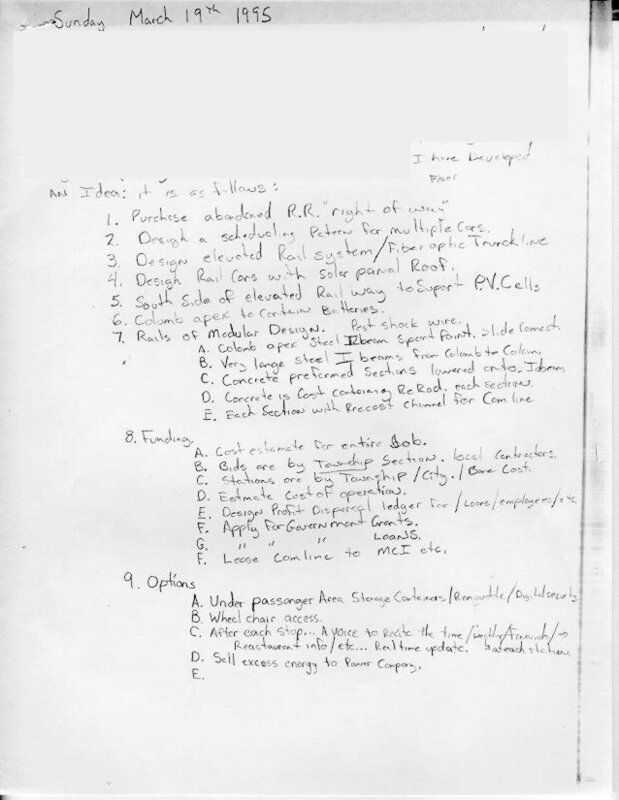 What problem does the Interstate Traveler Solve? The newscasters tell us every day about the difficult times people are having all over the world. Everywhere there is over crowding, urban sprawl, public utility failures, traffic jams, car accidents, utility poles that are easily damaged by bad weather, backed up sewer systems that contaminate local public waters and the threat of drought and famine. The science of all these problems being significant unto themselves as a business, a municipal responsibility and as a personal plight. 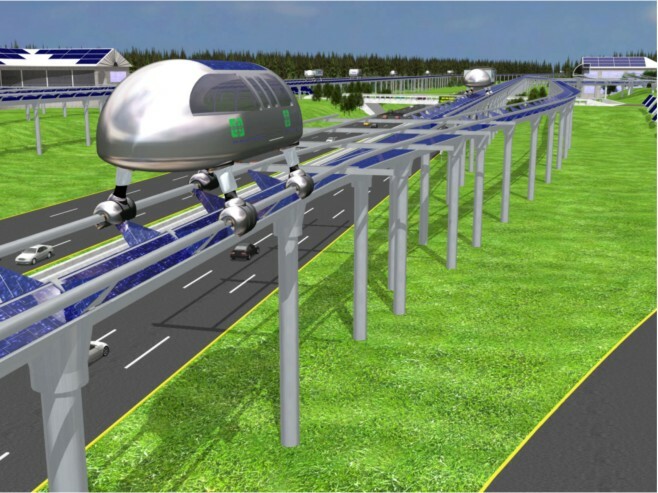 The Interstate Traveler creates a more resilient solution to all of these problems in a single relatively inexpensive mass-produced rapid transit rail system with an embedded 'self-contain and self-sustained' conduit cluster for common municipal utilities. Further, the ability of the Hydrogen Super Highway to reduce greenhouse emissions is unsurpassed. Cities that are now choked with harmful smog will soon begin to breeth easier as the skies begin to clear when all the existing internal combustion engines switch over to hydrogen produced in abundance by the rays of the sun. Further, the ability of the system or process waste will enable the supply of hydroponic grade agricultural irrigation on a massive scale, which in itself will produce edible crops, fuel grade crops and actual carbon sequestration. Ultimately, we are creating a massive functional upgrade to the efficiency of the United States public infrastructure as a whole by implementing a nested domain address system for a National Public Transit Network. It has become ever more popular for new urban areas to be developed with underground utilities, and as the ever increasing population grows into new areas and redevelops old ones, there will be a need for both a highly efficient light rail system, and a need for massive upgrades in the basic public utility conduits such as electricity, water, and liquid waste. One of the many great aspects of the Garden Arbor Light Rail system is the ability to sequester carbon while releasing oxygen into the atmosphere. You can read more about the Garden Arbor Light rail system here. You can also visit the Hydroponic Highway systems approach for carbon sequestration and water purification by clicking here. 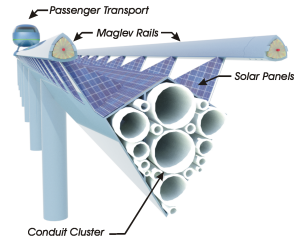 Our mission is to mass produce the least expensive and most universal form of public conduit to move people via maglev technology, and simultaneously provide structural conduit for the distribution of electricity, potable water, liquid waste, fiber optics, hydrogen, oxygen, and where applicable, other liquid and vapor based fuels. By partnership with the State and Federal governments, we intend to expand our business to include an International Sales Organization to supply light rail systems and utility conduits to municipalities world wide. In this regard, our aim is to provide a continuous revenue stream for municipal governments for the management of public works and the embellishment of parks and other public spaces along with the management of local public transportation services at all levels. Our vision is this: To mass produce a unified public conduit system that can be installed anywhere at the lowest possible cost, the highest possible quality, with the greatest efficiency, built from the most resilient materials and is pollution free. The Interstate Traveler Company, LLC enables the consolidation of public utility systems into a single mass produced rail system as an affordable product supplied to municipalities world wide. All nations face the same infrastructure dilemmas, that is why the Interstate Traveler is a truly global enterprise for a truly global need. Directly servicing the ever growing populations of the world with reliable and quickly installed utility conduits for electricity, potable water, fluid waste, liquid and vapor based fuels, and public transportation is our mission. The utility clustering principle being exploited by the benefits of mass production using materials that guarantee hundreds of years of service, is the ultimate investment of both public bonds and private venture capital. Concentrating on the most efficient design brings about an irreducible magnitude on structure principles. Steel tubing is very quickly formed to the quantity that will allow miles of track to be installed per month, and even miles of track to be installed in a single day with the back log of pre-fabricated, modular, mass produced sections. Automated TCP/IP traffic control system using ports, and subnets will allow for personally owned, publicly owned and commercially owned cars to operate on the same platform (public network) with assurance that the commercial cars get to the right loading dock, on the right spur of the right sub network automatically. The Internet has proven the massive expandability of TCP/IP based addressing systems, we are simply treating each car on the public system, each gallon of water, each kilowatt of electricity, each kilogram of hydrogen as a packet in a massively expandable network that will serve the people for generations. The TCP/IP Protocol is ideal for traffic management via real-time location determination to properly provide credit and debit to public toll-ways, scenic routes, all the way down to local township municipal networks. All this being understood, it is easy to see the efficiency, economy and reliability of a self sustaining conduit system that delivers people and public utilities giving the Passenger or the Concierge or the owner of a private Transport to pick a destination on the rail, and reroute to another destination with the click of a button. The Interstate Traveler is a Semi-Public transit system, riders are registered in advance. Finally, by fully integrating the Interstate Traveler with the Interstate Highway System, we optimize the use of existing transportation infrastructure and transit oriented developments. The Cloverleaf Substations offer ideal accommodations for access by existing localized bus and taxi transit services at the township and county level by fully integrating with the entrances and exits of the established transportation infrastructure that is our beloved highway system. By providing maglev rail mass transit for both pedestrian passengers and for personalized automobile accommodations, we promote the use of both public and private transportation. With the automobile accommodations, you can drive your car into a car ferry, and ride in the comfort of your own private vehicle while the car ferry takes you where you want to go without any interruptions. The Interstate Traveler Project has been formed into a Limited Liability Company, registered in the State of Michigan working in the design, production and distribution of alternative energy, where that alter native energy production system is fully integrated into the Rail Conduit Cluster and Utility Substations. The Interstate Traveler is intended to provide a new standard rail infrastructure for mass transit as an upgrade to the existing United States Interstate Highway System and along existing right of ways operated under a 50/50 Revenue Share Public / Private Partnership on Public Rights of Way. We make the rail, and all the Transports are made by strategic partners and vendors such as the existing Automobile, Heavy Equipment and the Aerospace Industry, where those cars on the rail may be owned by Municipalities, Corporations, and Private Individuals. 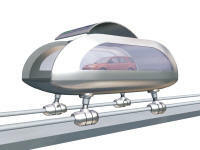 As long as the standard propulsion systems are used, any one can make a car of any shape and size (Using Proper Safety Codes and Standards) and will be able to ride the Interstate Traveler Rail Network from city to city all over the United States. 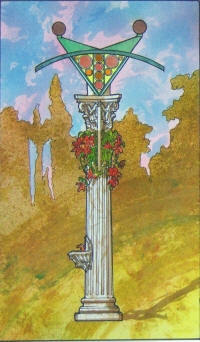 Inspiration for the Interstate Traveler finally amassed itself on Sunday March 19th, 1995. 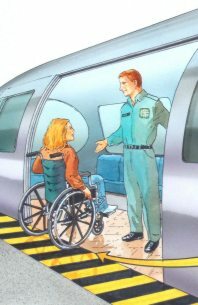 On that day Justin Sutton was inspired to conceive of an advanced mass transit system when reading a story involving the rail road industry. 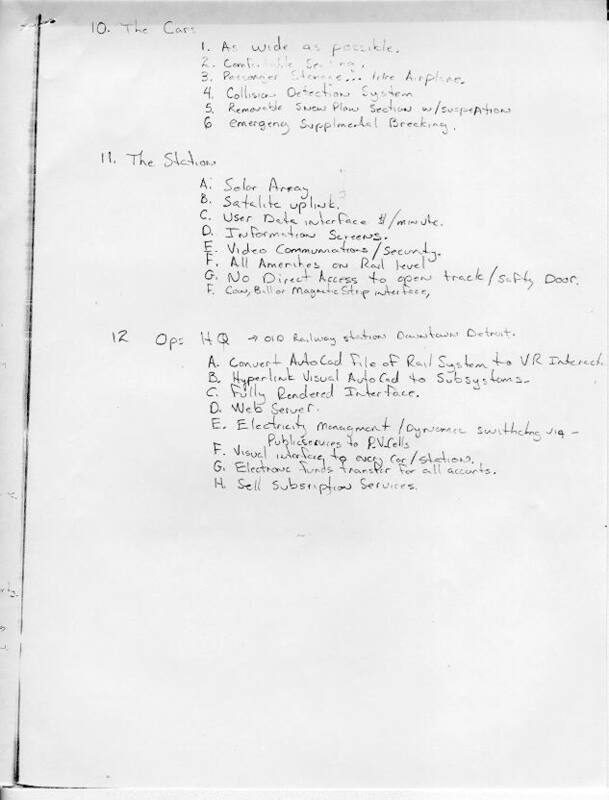 On that day, the primary requirements of the system flashed into his mind, and he transcribed them onto two sheets of paper. Justin Sutton published this work in 2002 and immediately began building a national and international advisory community then Incorporated in the State of Michigan in 2003. During the year of 2002 presentations were made to City, Township, County and Multi-County Planning Organizations along with Transportation Agencies and Labor Unions all across Michigan. 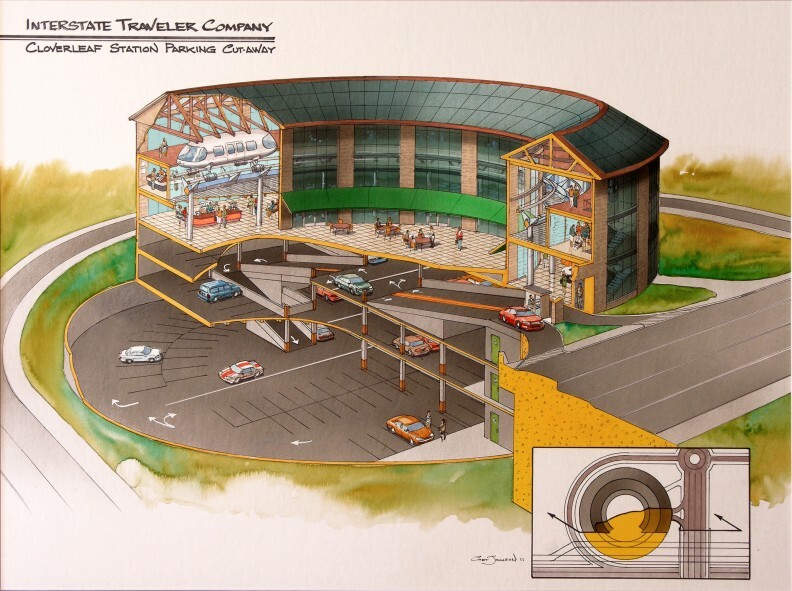 In 2003 the system was officially presented to the State of Michigan where after proper protocol and presentations to House and Senate Committees the House and Senate Unanimously Resolved support for the Interstate Traveler Project. Then after years of effort planing then publishing and making formal presentations at banks, cities, townships, counties and civic clubs we received many great letters of support from bankers and government planner, State Reps and Congressman. You may click here to see some of our letters of support. The only way to save American Steel companies from being shut down is to buy what they make. Realizing that the Interstate Traveler Rail Conduit Cluster is a mass produced "Snap-together" plug-&-play technology made from tons of steel components, the broad adoption of this rail design provides an unprecedented economic benefit to steel manufactures. As an exportable commodity, we will supply American made technology to the world using tons of American made Steel. Here in America, the build-out of the Eisenhower Interstate Traveler on 54,000 miles of Interstate Highway will require no less that 750,000,000 tons of American Made Steel! Some of our most basic projections have suggested the creation of 40 permanent jobs per mile of rail installed to staff all the businesses in Traveler Stations and provide concierge on all the Transports. Therefore we can project that the 54,000 miles of the Eisenhower System could sustain as many as 2,160,000 good paying, "Livable wage" jobs spread out across America in the hospitality, food and entertainment industry alone. When professional trades are added for the construction and expansion of this system, the number of high paying jobs skyrockets. The benefits of having huge doors on all Transports means there will NEVER be a problem for anyone boarding one of our Transports. ADA Compliance means more to us than just putting up hand rails. 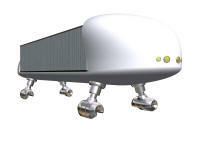 The benefits of having a fuselage that can freely move in three dimensions enables each Transport to make direct contact against the loading bay so that there is no bump and no gap for anyone to step over, or get a wheel or heel stuck in when heading out for a ride across the country. Of the many great benefits of the Hydrogen Super Highway, the ability of the HSH to offset carbon is practically unmatched. Many sources claim that automobiles, on average, generate one pound of carbon dioxide for every mile driven by a car. Therefore if we consider each passenger on the HSH to represent one car off the road, compiled annually using an average of 15,000 miles / year, we can offset 15,000 lbs of carbon dioxide per passenger per year. With the National HSH built out on the 54,000 miles of the Eisenhower Interstate Highway we will have a simultaneous passenger capacity of more than 9,000,000 people. Therefore, we look at 9,000,000 * 15,000 = 135,000,000,000 lbs (67.5 Million Tons) of carbon dioxide per year. With current cap and trade figures valuing carbon offset at as much as $10/ton, the National HSH offset value is $675,000,000.00 / year for providing daily transportation just 9,000,000 people. When we look at freight hauling on 54,000 miles of this system we can easily support 50,000 Freight Transports that can hold two 40 foot standard shipping containers for a total capacity of 100,000 containers that can move about the country carbon free. For a more detailed description of how burning gasoline creates so much carbon dioxide, please visit our Hydroponic Highway page.